Marco Island, Florida, situated on the Gulf of Mexico, was originally developed by architect Herb Savage to emulate the culture and classic architecture he admired from his travels to Bali in the 1960’s. Savage returned, inspired to develop Marco Island into a tropical yet relaxed destination that felt like “a far-away, exotic place but close to home.” The Marriott at Marco Island is a prime example of Savage’s inspired travels to Bali, evident in the architecture, lush landscape, sprawling, sandy beaches and incredible sunsets. Among several renovations taking place at the property, EoA, Inc., was recently tasked with designing a new image for the guestrooms, corridors and main ballroom & prefunction spaces. They saw this as an opportunity to bring the property back to its roots and infuse the spaces with a modern Balinese style that allows guests to feel welcomed to Marco Island. One of the best ways to infuse the spaces with the Balinese style is by designing vibrant carpet patterns that emphasize the classic Balinese motifs. 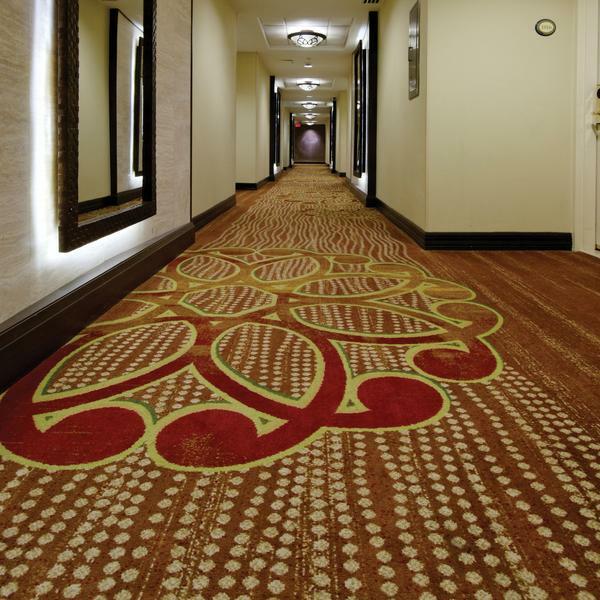 After a successful project with Brintons in the Spa at Marco Island, EoA asked Brintons to help develop new carpet designs for the guestroom corridors, main ballrooms and prefunction spaces. EoA developed a concept for both spaces that centered on the Balinese technique of Batik – a common artistic textile design process of wax-resist dying, creating elaborate and vibrant patterns. The pattern for the corridors was created by combining several Stacy Garcia motifs into a single pattern that emulates the batik process. 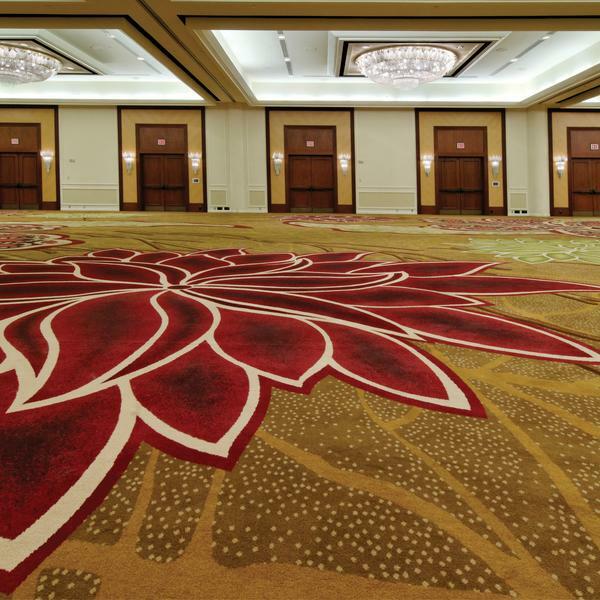 In the ballroom and prefunction spaces, EoA designed a completely custom pattern that consisted of a series of vibrant flowers and branches that appear to be hand-drawn as a large-scale batik pattern. The non-repeating Electronic Jacquard pattern was custom designed to lead guests throughout the spaces, experiencing something new and vibrant around every turn. 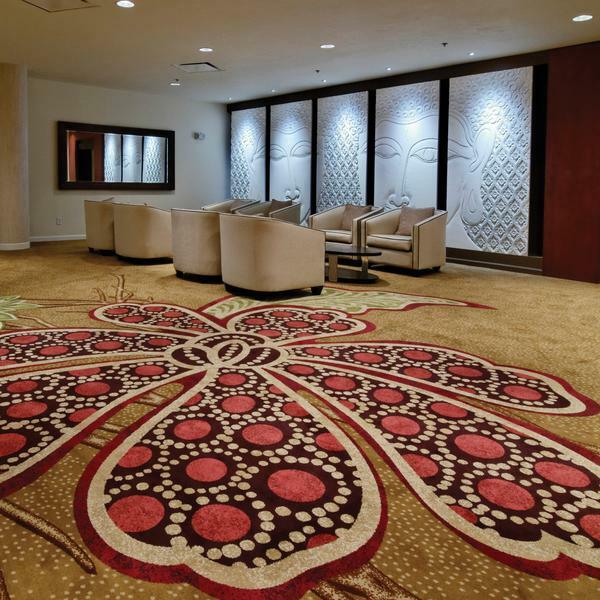 EoA engaged Brintons for this project simply because of their ability to produce intricate designs with seamless gradations. 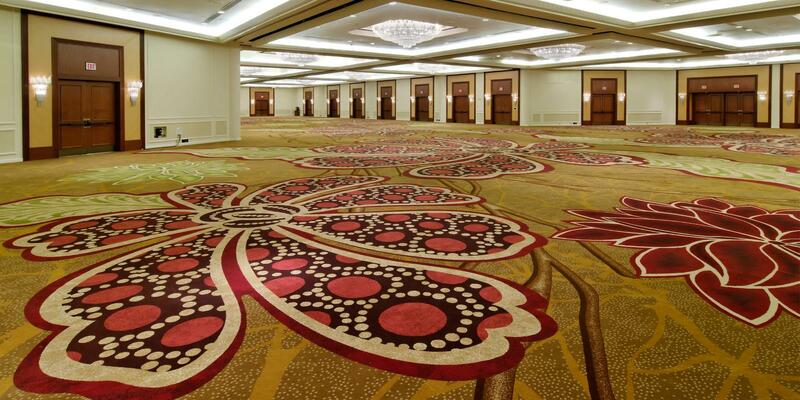 The project was highly demanding and Brintons was able to interpret our design concept into an exceptional carpet. Excellent work!